Wow I hope this worked. I have been trying to edit my blog with no success, trying to put up my profile, still even less success, so I've tried a picture. I hope this works. Progress not perfection. Anyway I previewed this so it might just work. So much to learn about this stuff. But my goal while I'm off is to learn something new everyday! 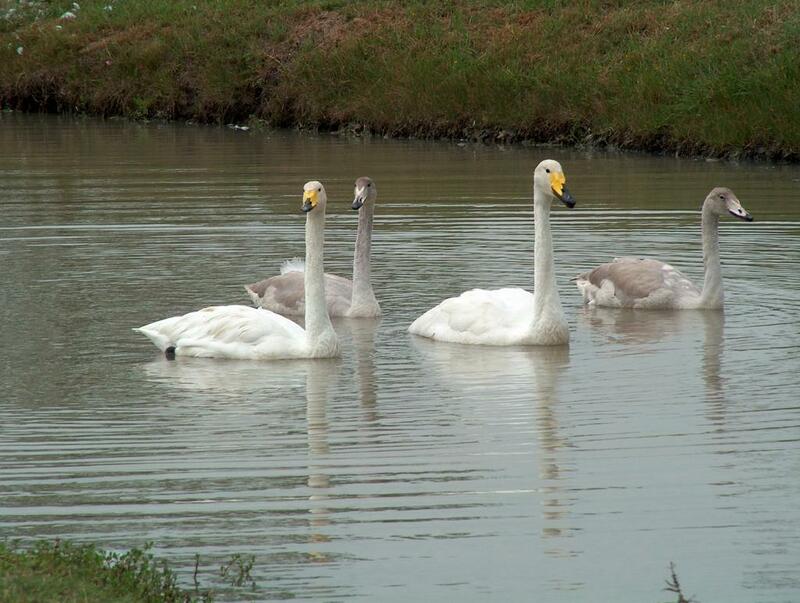 If these guys appear, it is my whooping swans, Will and Grace. The grayer swans are their kids(cignets). She is a first time mother and hatched 9 eggs, two of which I hatched myself. Only 4 survived and as of last week we only have 2 left. We had a storm and think we lost 2 due to a lightning strike.We usually sell the cignets at 6 months of age, so they are about ready for new homes. I don't know why they are called whooping swans, because they actually honk.Honking swans,doesn't sound right does it? Just finished doing my shoulder and arms workout,getting ready to eat breakfast and go feed the kids.Might post routine later,kids are bellerin for their grub lol. I love the names you give your animals (and their habitats, lol). Very cool. You're gettin' to be a pro at this blog stuff.